Auckland's most trusted building wash company. 18 years of experience. Hundreds of happy clients. We’re perfectionists and are not content with anything less. We have the equipment and know-how to service any type of building. From low-rise to high-rise, our in-house team can do it all. No subcontracting ensures we have complete control over every aspect of every job, and can deliver an organised and perfect result every time. We have an impeccable safety record and work tirelessly to ensure the safety of our teams, always going above and beyond health, safety, and environmental standards. Our care for our teams extends to your building as well. We take the utmost care while working around and on top of your building to leave everything in better shape than we found it. Inside and out. 1 to 100 storeys. We do it all. WorkSafe compliant operators safely access and clear your gutters. Water blasting and moss treatments done carefully and safely. Waterblasting, scrubbing or chemical washes. 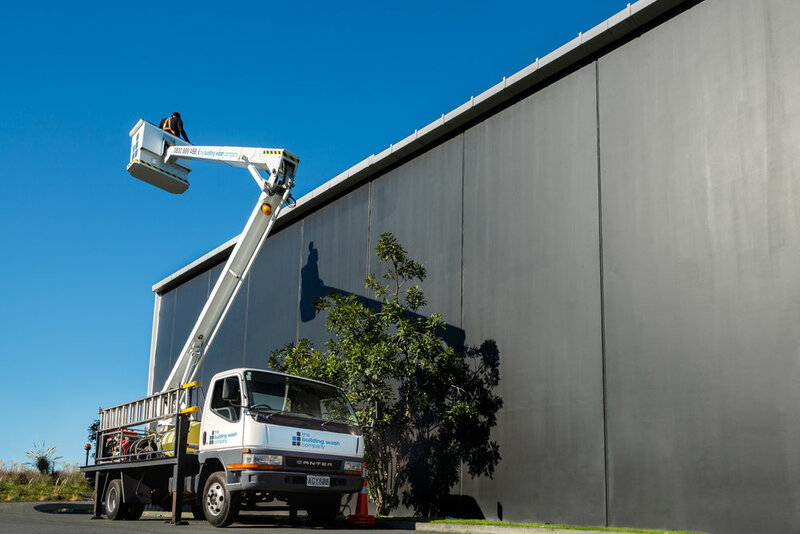 Our abseilers and cherrypicker trucks can reach all areas. Handheld and Drone cameras give quick feedback on the condition of your building. Our large crews can clean the walls, ceilings and floors of your warehouse quickly and safely. 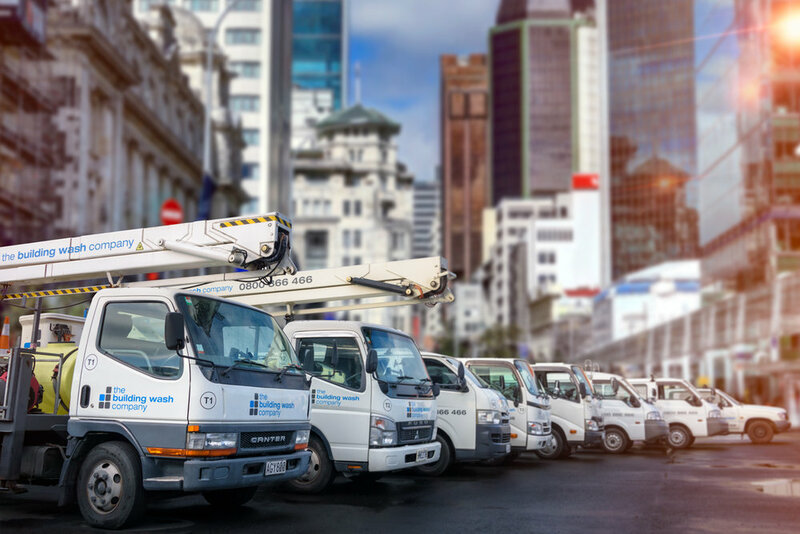 Our trucks save you more by eliminating access hire charges.